One of the concerns raised by the Grenfell Action Group when we were opposing the KALC development was the impact the loss of the Lancaster Road car-park would have on the community in the Grenfell Tower area. 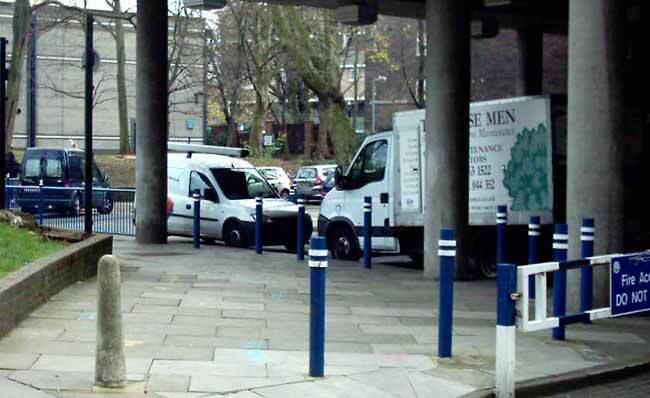 Because vehicular access to Grenfell Tower, and the several low-rise blocks adjacent to it, is severely restricted, the Lancaster Road car-park has served a vital function over the years for residents parking, service and delivery vehicles etc. 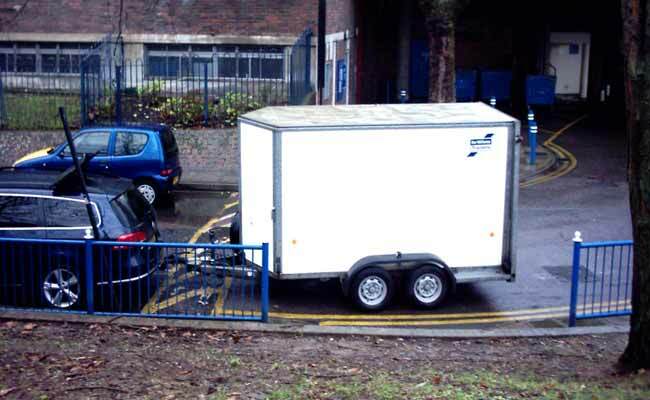 It has even been used as a backup parking area by the London Fire Brigade because emergency access to the Grenfell Tower area is so restricted. We argued that the loss of the Lancaster Road car-park would inevitably increase the pressure on Grenfell Road, which is now the only vehicular access to a large part of the southern half of Lancaster West Estate. Everything that moves in or out of this area, including all goods and services, comes through a single narrow and congested corridor – Grenfell Road. Grenfell Tower stands at the end of this narrow corridor. Parking along Grenfell Road is restricted to resident permit holders only, hence there is no casual parking allowed in the whole area. As it approaches Grenfell Tower the road takes a sharp left turn into the final approach to the tower. From this corner onwards emergency access restrictions apply and are supposed to be strictly enforced and carefully monitored. There should be no parking at any time in this area except for emergency vehicles only. Indeed, there is barely adequate room to manoeuvre for fire engines responding to emergency calls, and any obstruction of this emergency access zone could have lethal consequences in the event of a serious fire or similar emergency in Grenfell Tower or the adjacent blocks. In recent months we have observed frequent breaches of the emergency access restrictions in this area, by both service and private vehicles. We began complaining to the estate manager in October 2012, and had to renew our complaints in December. At the same time we began accumulating photographic evidence of multiple breaches of the emergency access zone, which were occurring on a daily basis, as well as at weekends, with the apparent consent and complicity of estate staff. Attempts to engage with Siobhan Rumble, the TMO Neighbourhood Manager at Lancaster West, were less than fruitful. She fobbed us off with misleading and ambiguous answers refusing to accept that there was an ongoing problem. Eventually, with support from Cllr Judith Blakeman, who had witnessed some of the parking infractions in question, we succeeded in badgering Ms Rumble into inviting the local Station Manager from the London Fire Service to visit on 20th December. We later received an account of this visit from Janice Wray, the TMO’s Health and Safety Officer, via an email response she had sent to Cllr Blakeman at the time. Strangely, on the day of the inspection all appeared to be hunky–dory, and the Fire Officer witnessed no vehicles parked illegally or obstructing the emergency access route in any way. One has to wonder how it could be that every time we visited the area during that week, and on subsequent occasions, we were able to take photographs (some of which are reproduced here) showing multiple and continuous obstructions of the emergency access zone, but on the single occasion of the Station Manager’s visit (pre-arrangerd and by invitation) he found no evidence of any obstruction. We are not in a position to accuse TMO officers of conniving to mislead the London Fire Service, and of playing russian roulette with the safety of local residents, and nor would we presume to make such accusations. We do, however, invite our readers to study a selection of the many photographs we took, and to form their own conclusions. We would be more than happy to make our evidence available to fire officers, and have already offered to do so. However Ms Rumble ignored our requests to be provided with the contact details of the Station Officer in question, who appears to have been badly misled and misinformed. We are aware of the difficulties faced by Lancaster West staff who struggle to somehow provide access for TMO and other service contractors, but have nowhere to legally park them. Pressure on staff to bend the rules has certainly increased since the Lancaster Road car-park was swallowed up by the KALC construction site. However their primary and most fundamental duty must be to secure and protect the single narrow emergency access corridor on the only remaining approach to Grenfell Tower and adjacent residential blocks. 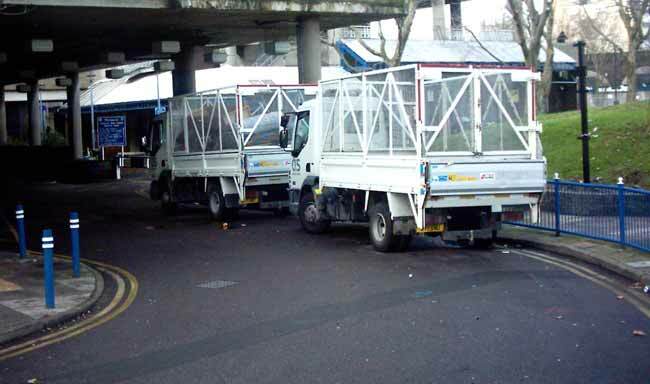 Knowingly compromising this essential emergency access for the convenience of staff and service vehicles would be highly dangerous, criminally negligent, and could prove lethal in the event of a serious fire emergency – which could occur at any time. On top of this, major works are expected to start soon on Grenfell Tower, which will require the movement of large quantities of materials, plant and equipment through this same narrow access corridor. 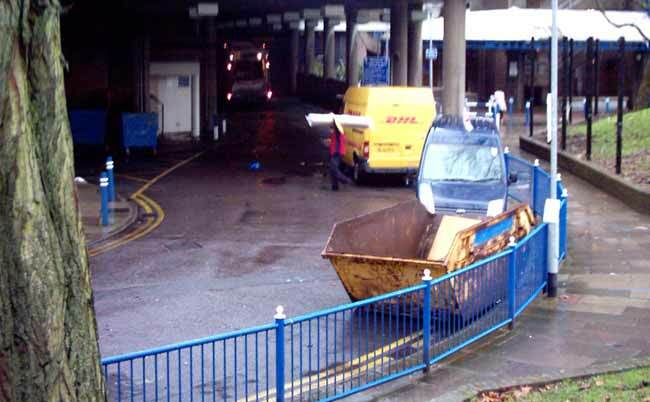 The logistics of this will be very challenging, and the safety of residents must not be compromised, but how can we trust estate staff to safeguard emergency access in the face of these new challenges when they are already playing fast and loose with the safety of residents before the works have even begun? MS RUMBLE AND HER BOSSES AT THE TMO NEED TO GET A GRIP – AND SOONER RATHER THAN LATER.